This is a wonderful little story about family traditions, heritage, and pride. The main character is a girl who is embarrassed by her mother’s vegetable garden. All of the other neighbors have beautiful flower gardens, but her mother is growing ugly purple plants with prickly vines and fussy wrinkled leaves. 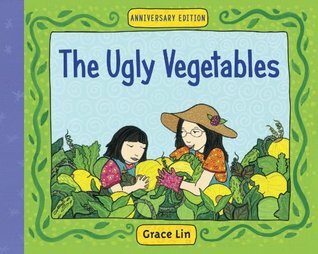 Eventually, her mother’s vegetables begin to grow, but the girl is still ashamed of her mother’s obvious differences. 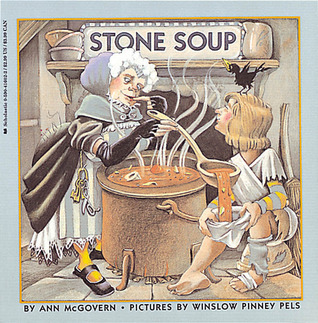 When all the vegetables are harvested, her mother makes a most delicious soup. The soup seemed to ‘dance in my mouth and laugh all the way down to my stomach’.All the neighbors are enticed by the aroma of the steaming soup and come for a taste. They love the soup and each go home with the recipe and some soup in jar to take home. The next year when her mother started her vegetable garden, she also planted some flowers next to the Chinese vegetables, and the neighbors all planted Chinese vegetables in their flower gardens. 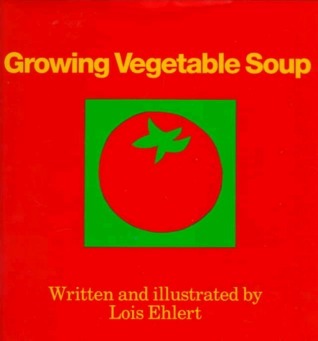 This is a simple story of growing vegetables for soup. Preschoolers can name the tools and plants on each page. Then the harvesting begins and in the end we have a recipe for vegetable soup that every child will want to make.